If you're new to the beauty world, let me introduce you to your new highlighting best friend: Becca Cosmetics' Shimmering Skin Perfectors. These puppies are incredibly pigmented, which means a little goes a long way. It's pretty easy to go overboard with them, but in the summer, it seems appropriate to brush on just a little more highlight than usual. 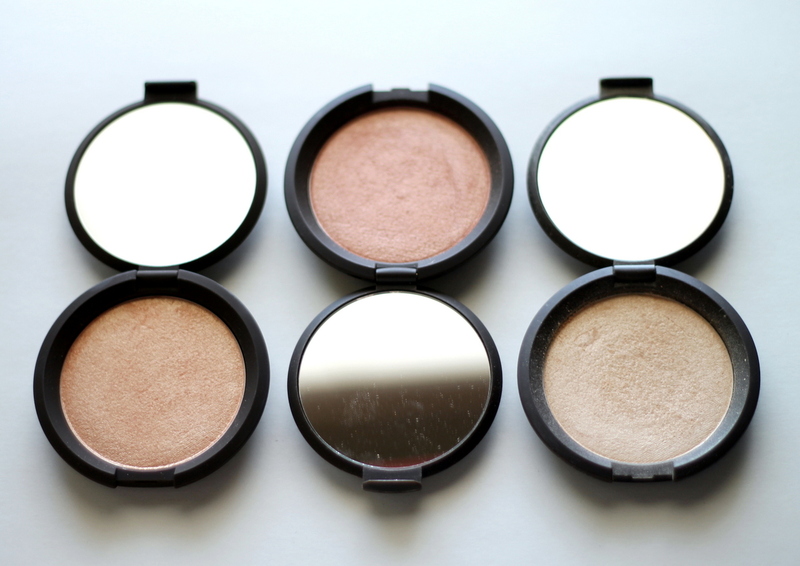 The ones I own are Moonstone (far right), Rose Gold (middle), and Champagne Pop (far left). Moonstone is perfect for the pale girl to use year-round, while Champagne Pop is more of a summer-appropriate hue. Rose Gold, which is gorgeous and a bit intimidating, is best used (at least on those with fairer skin) as a blush topper. Have you tried any of Becca's highlighters? If not, what highlighters do you use?